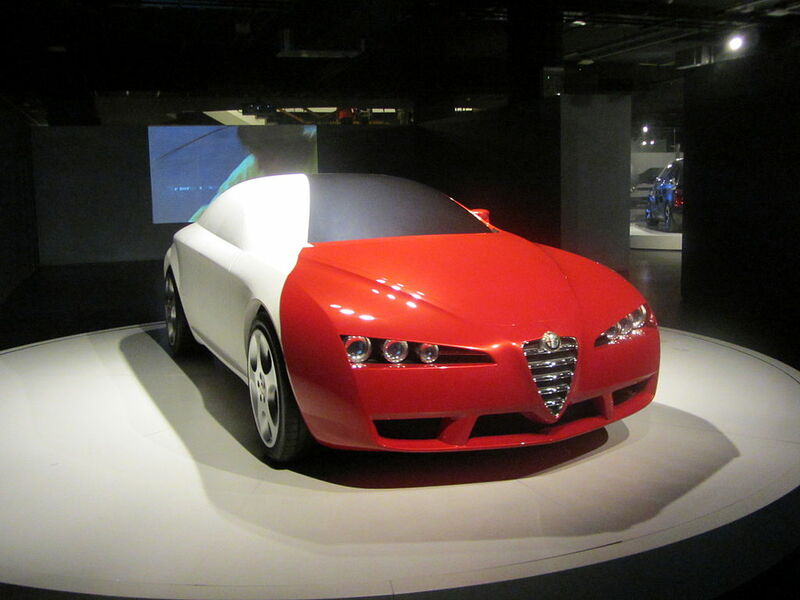 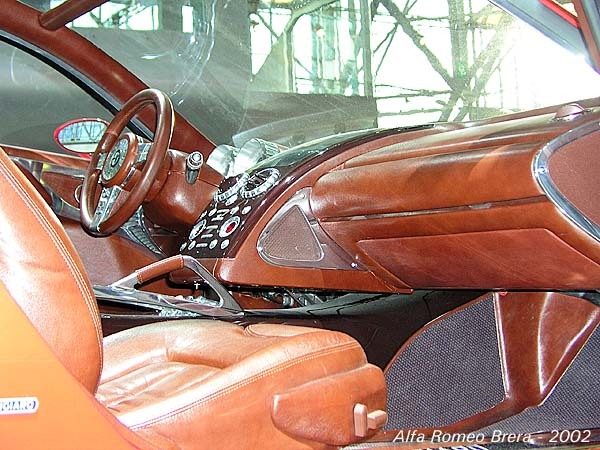 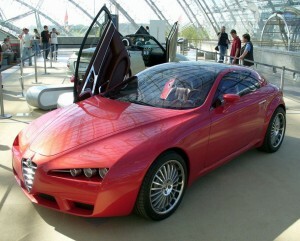 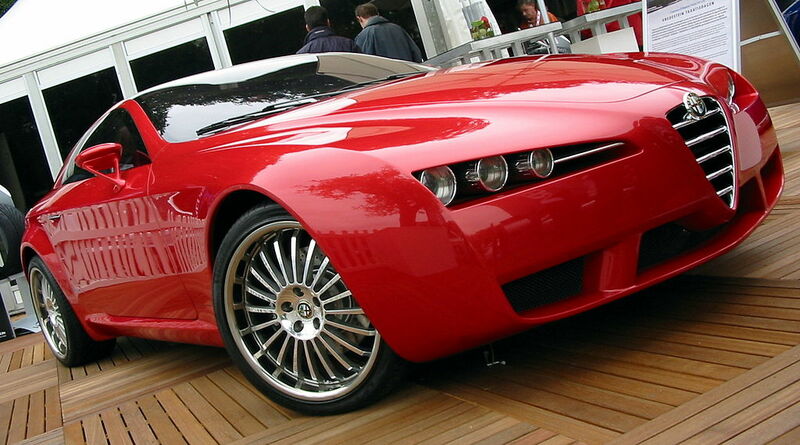 2002 Alfa Romeo Brera Concept by Giorgetto Giugiaro at ItalDesign. 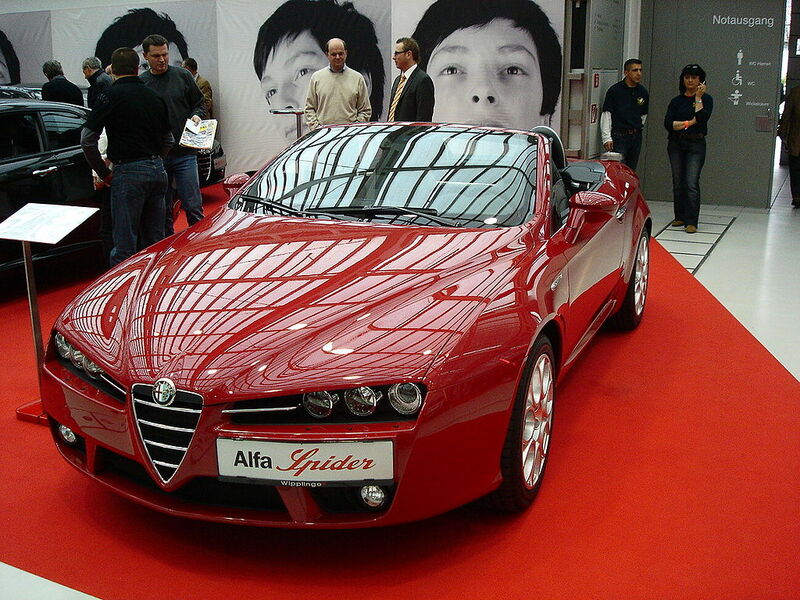 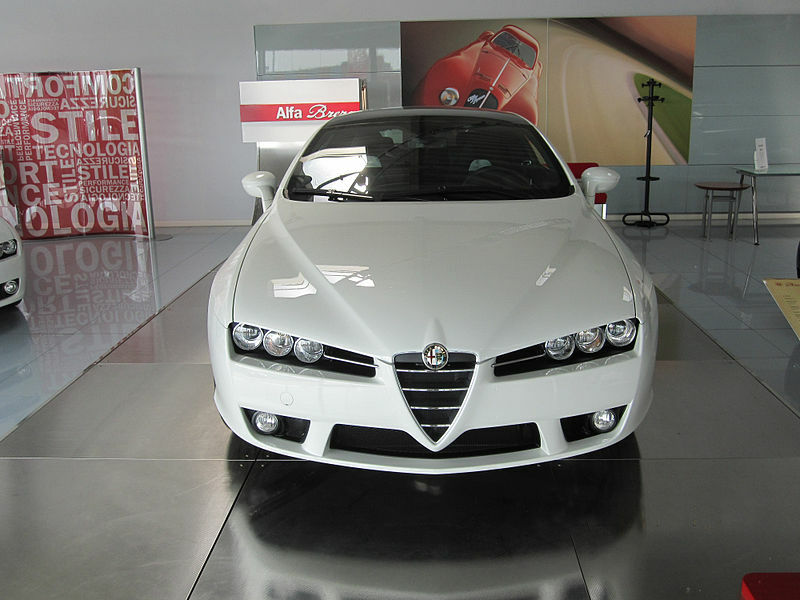 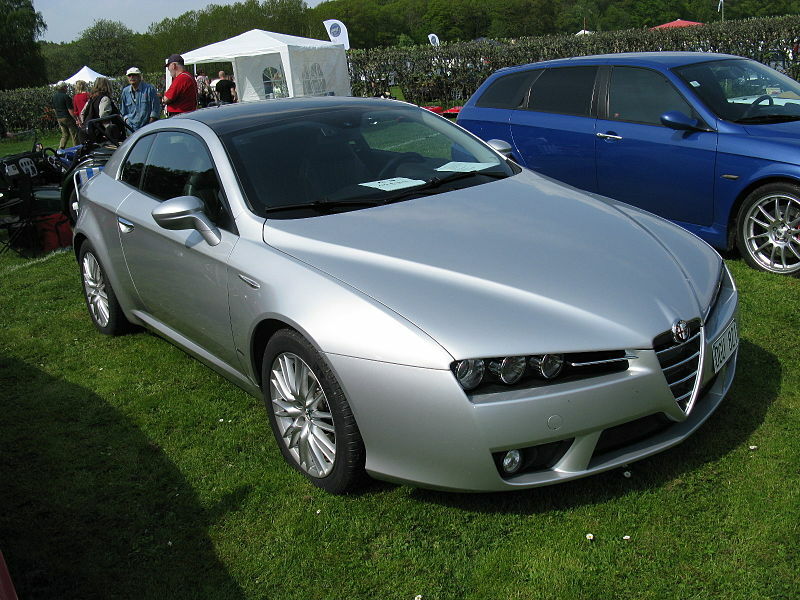 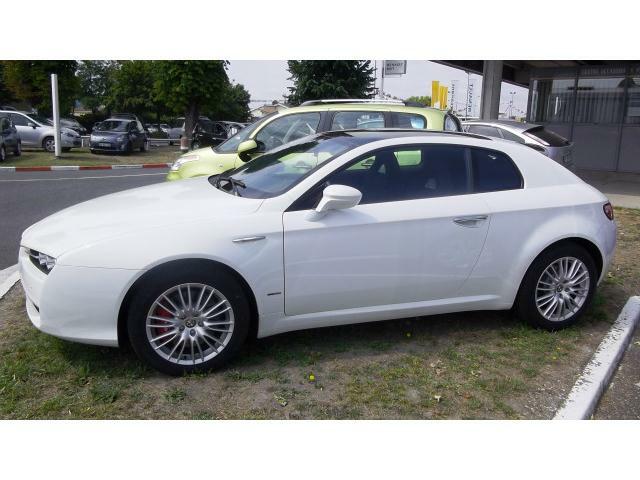 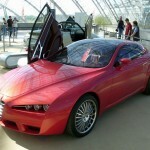 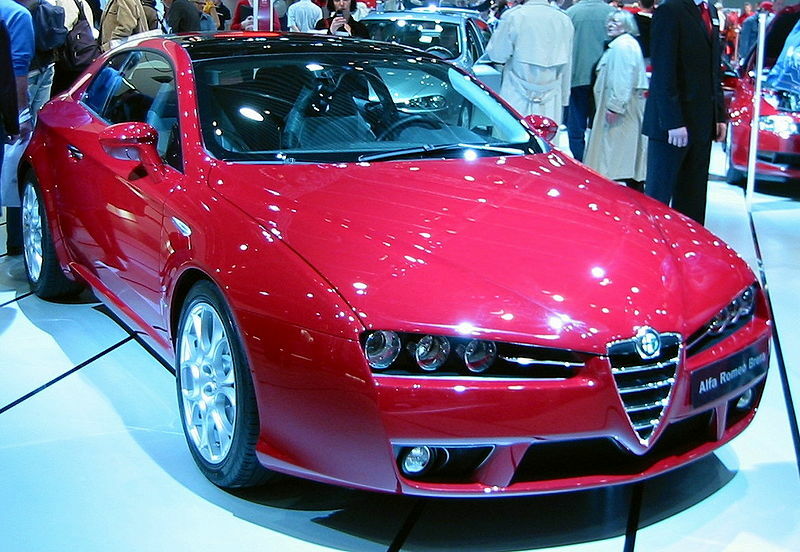 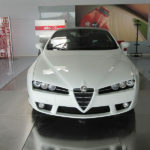 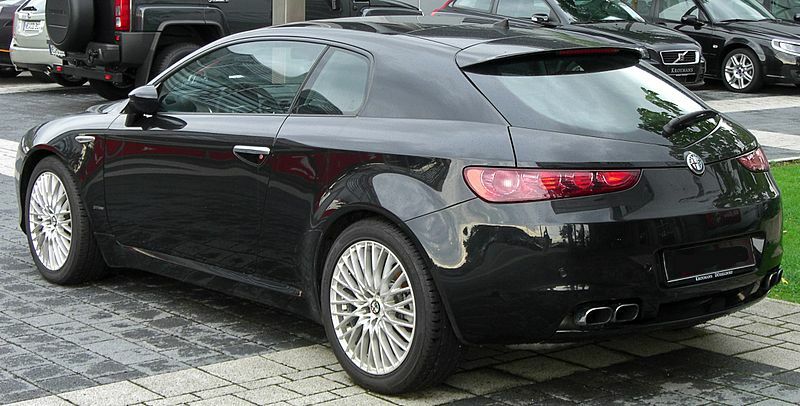 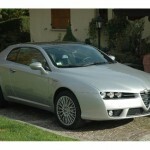 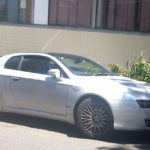 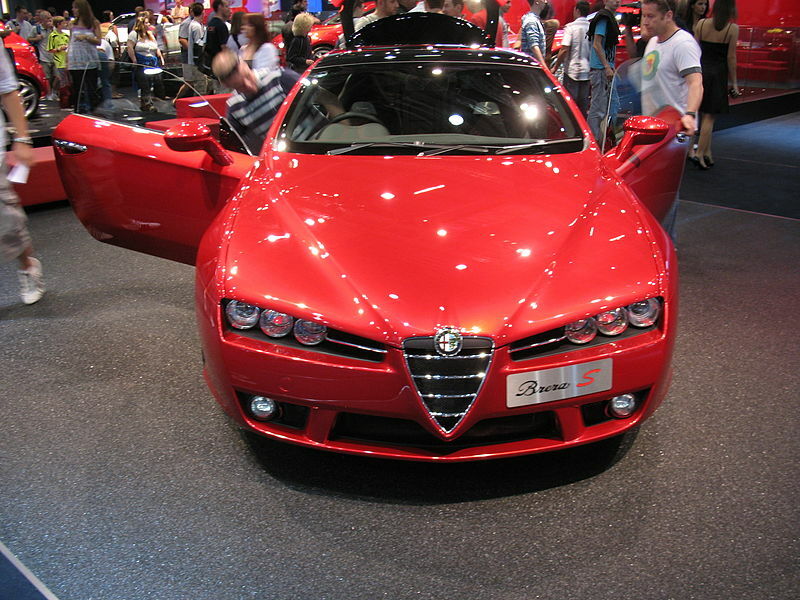 2005-2010 Alfa Romeo Brera by Giorgetto Giugiaro at ItalDesign. 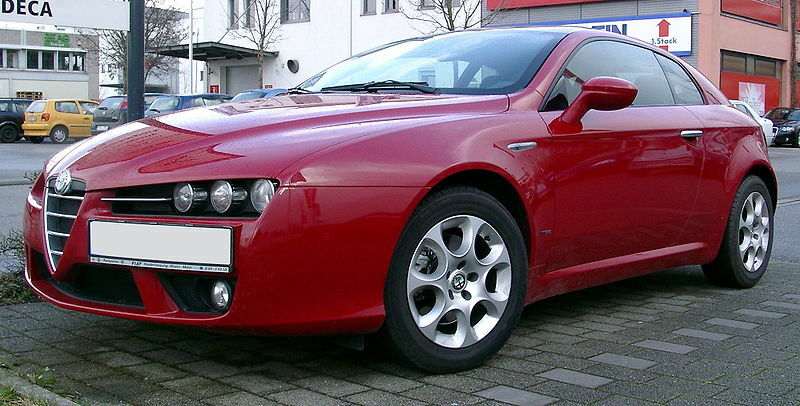 Based on Alfa 159. Tipo 939. 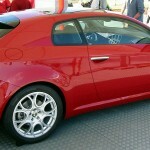 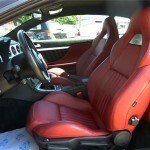 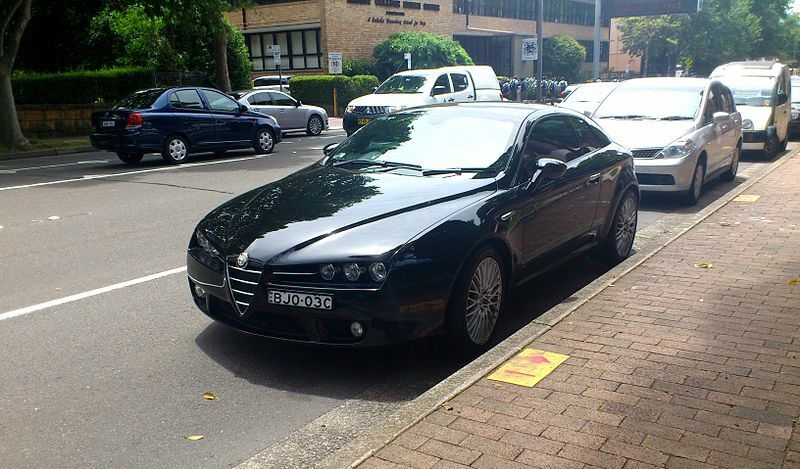 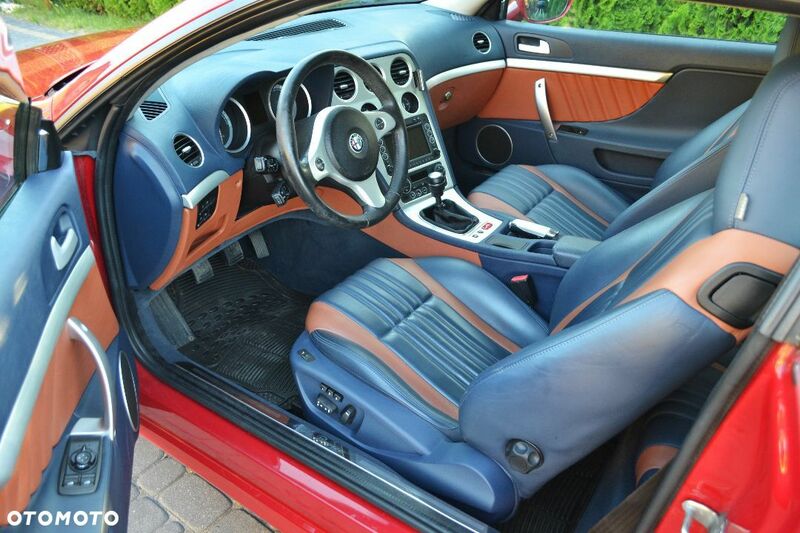 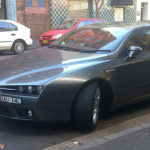 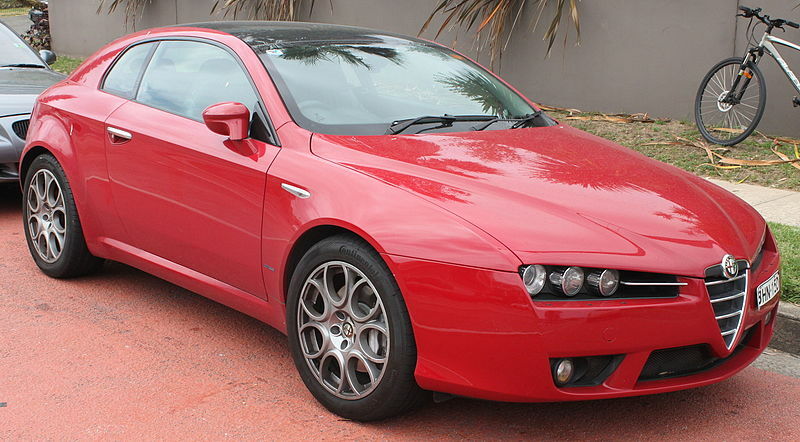 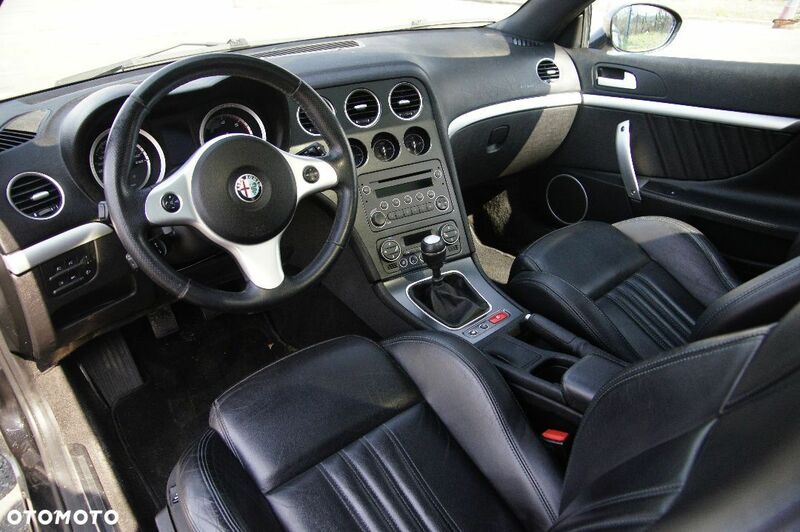 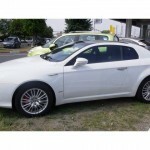 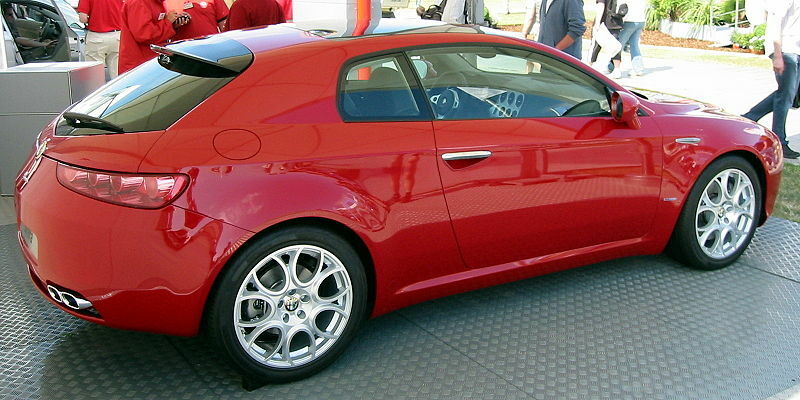 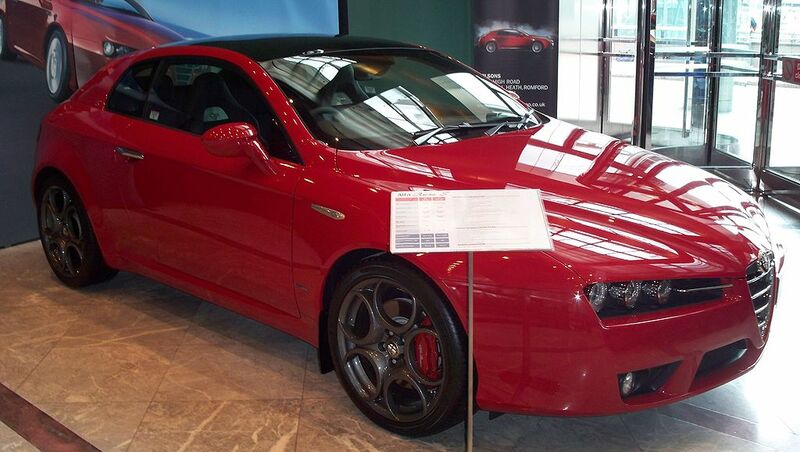 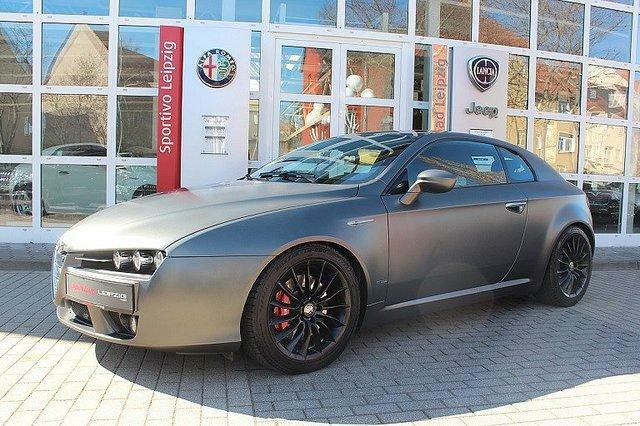 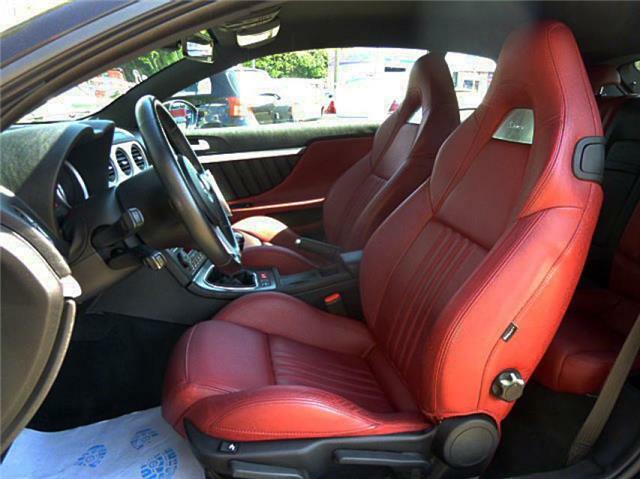 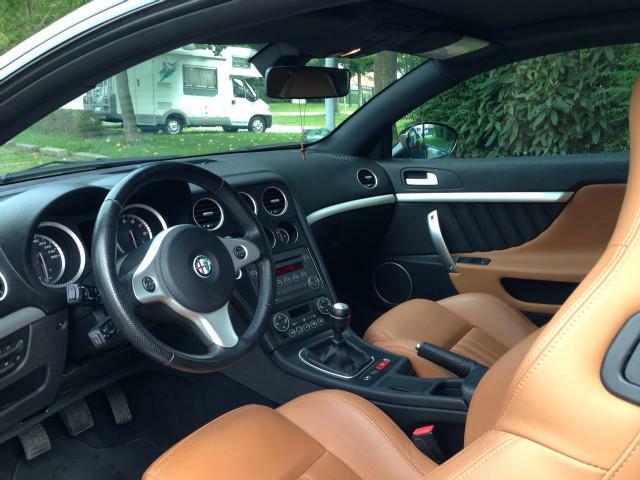 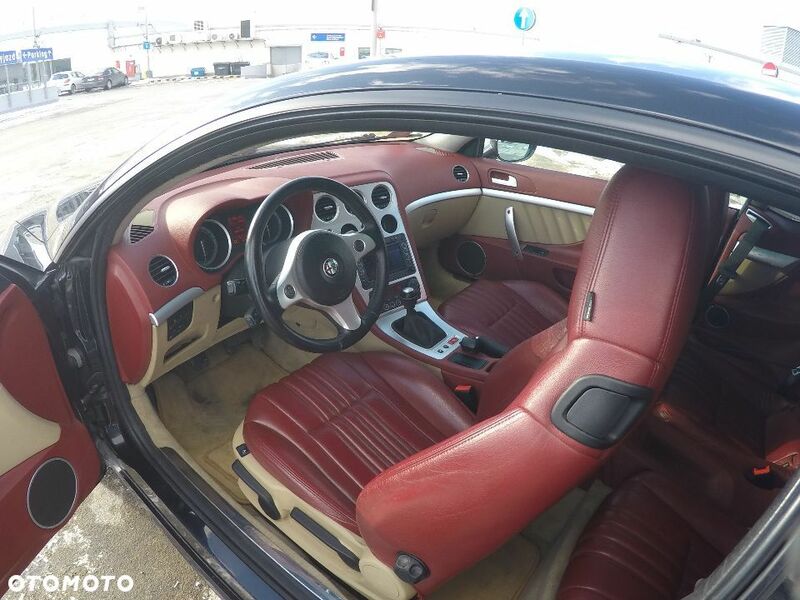 21,786 units of the Brera were built. 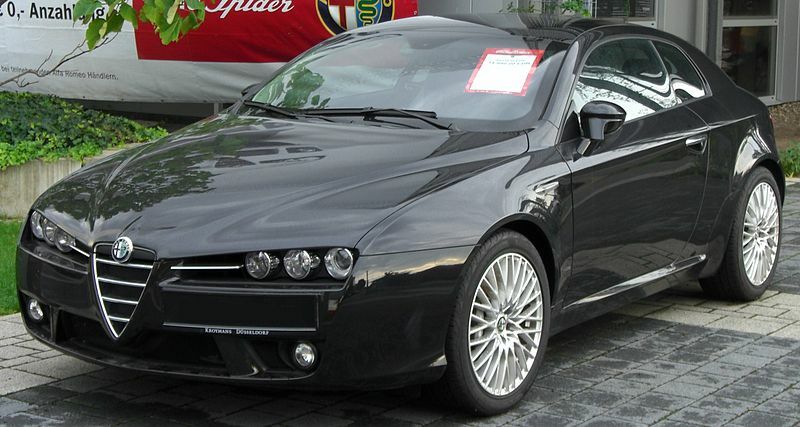 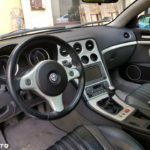 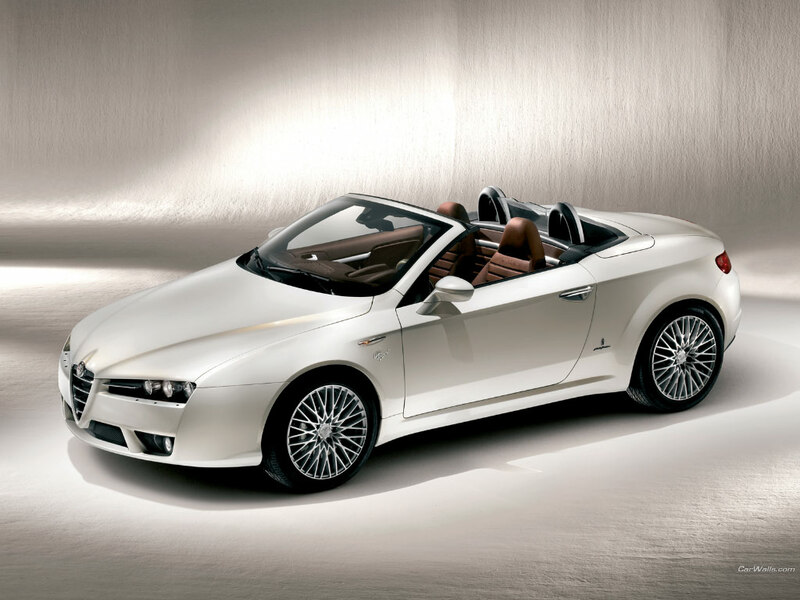 2002: Brera Concept by ItalDesign. 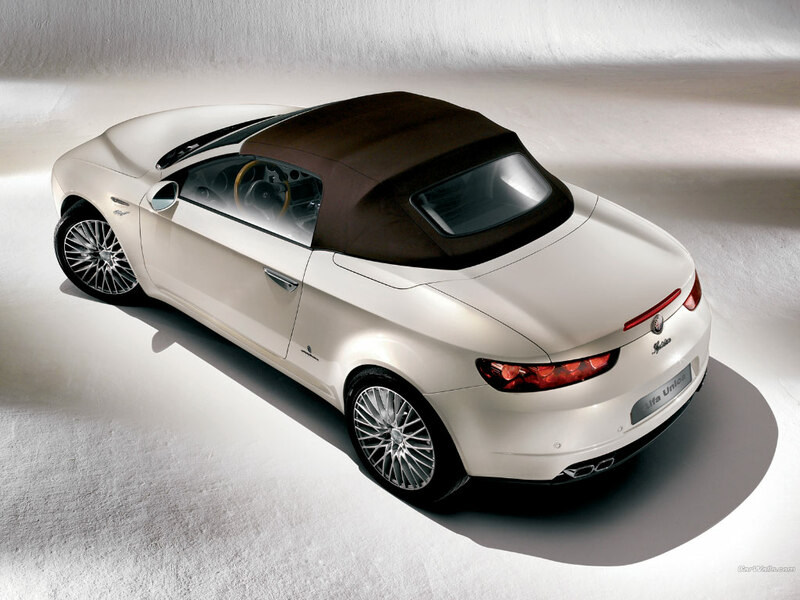 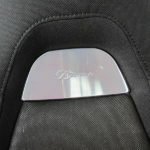 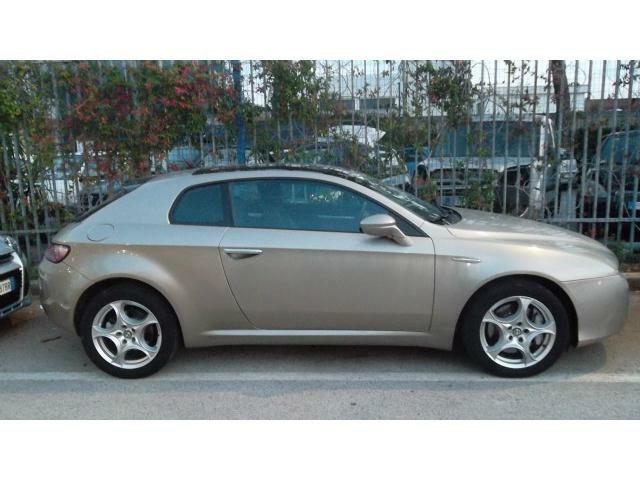 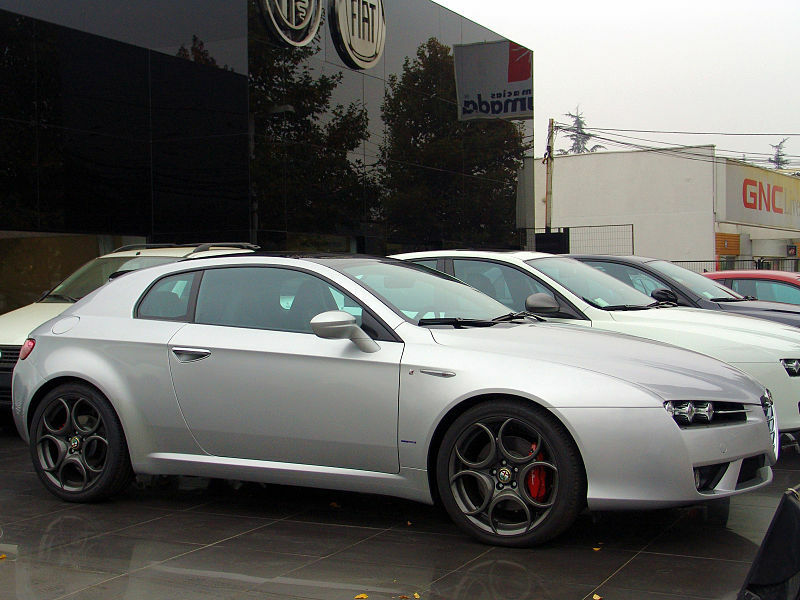 11/2005: Brera production starts at San Giorgio Canavese (Pininfarina). 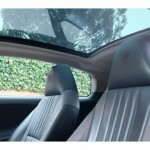 Only 2 trim leels available Medio and Sky View. 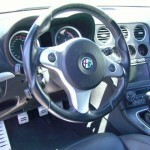 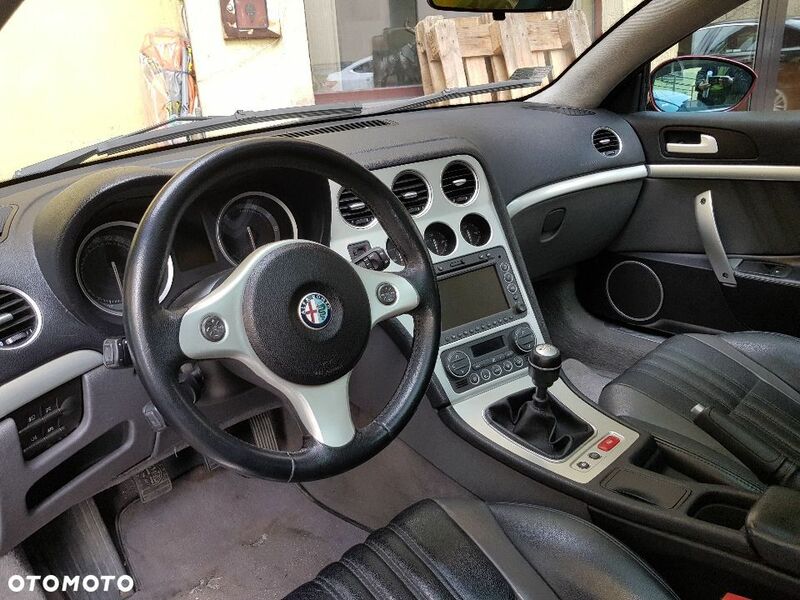 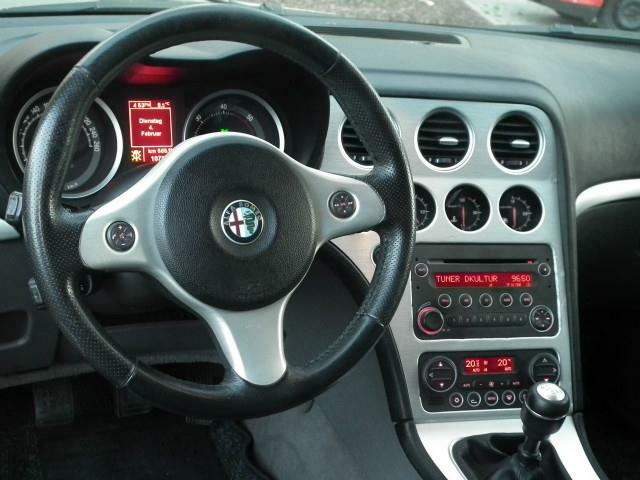 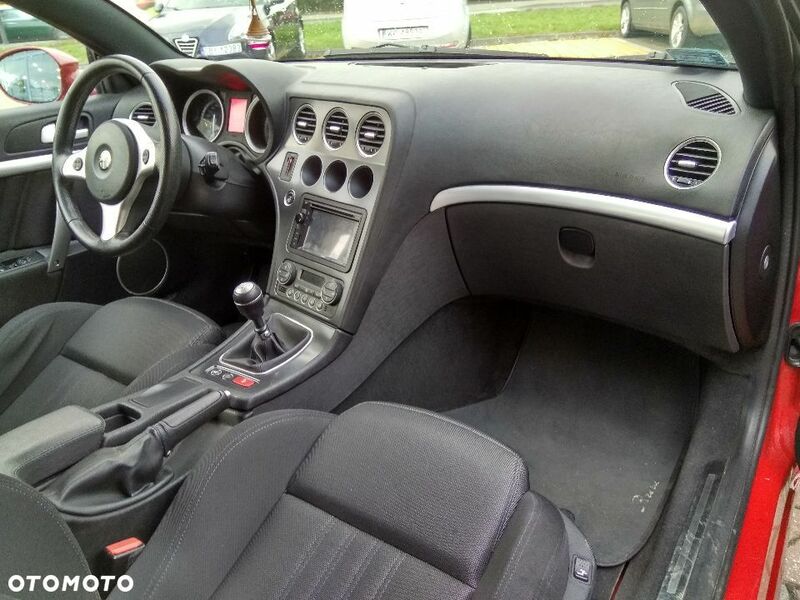 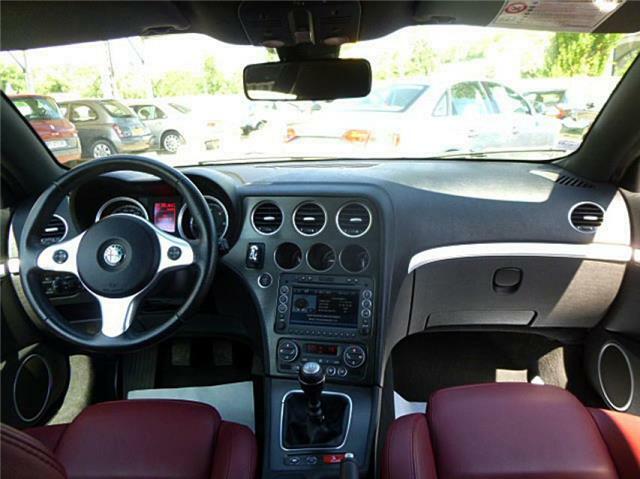 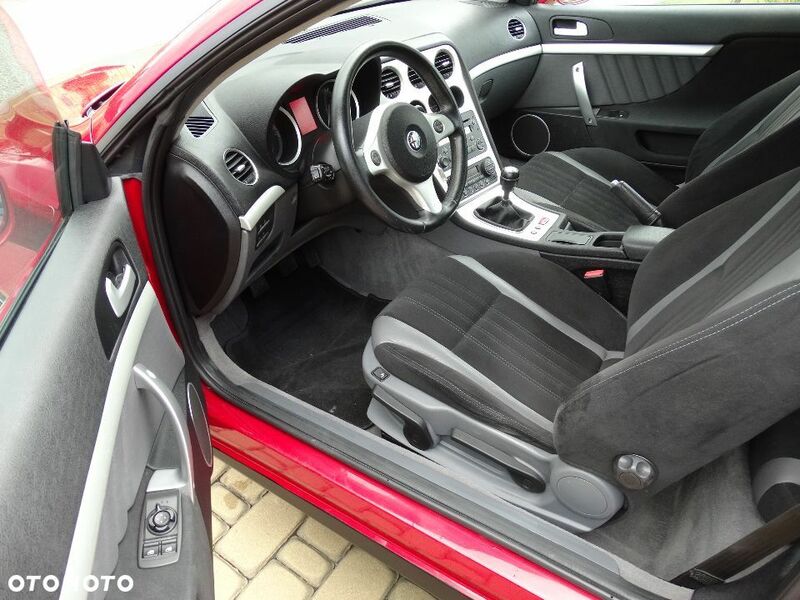 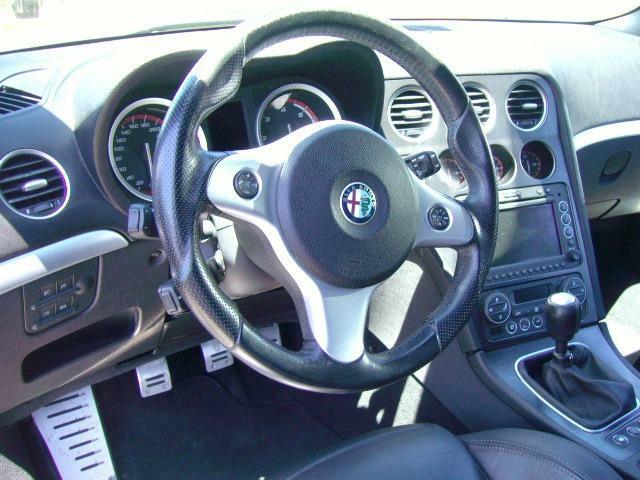 8-12/2008: Small changes, more ergonomic steering wheel, new engines: 1750 TBi and 2.0 JTDM. 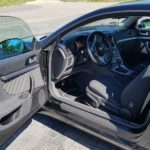 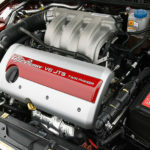 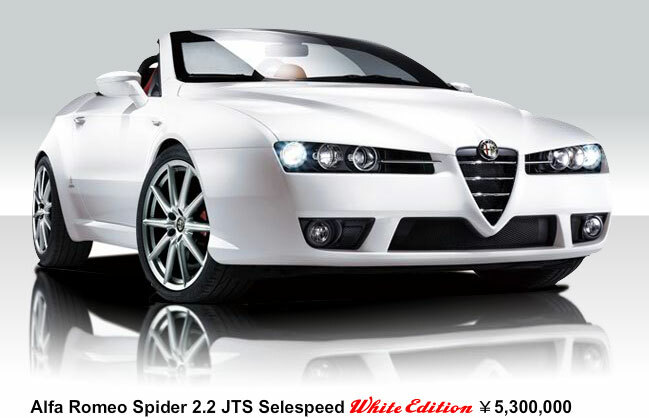 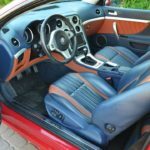 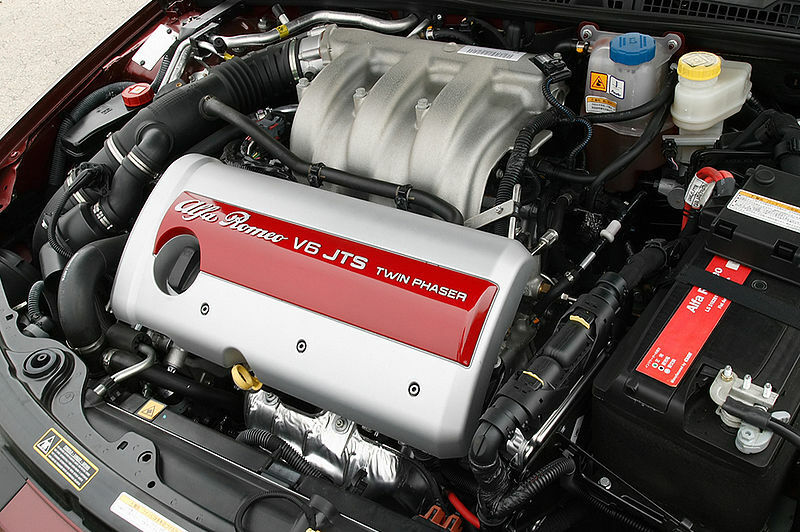 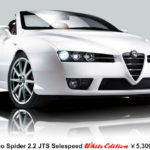 Spider’s 2.4 JTDM power increased to 214 PS. 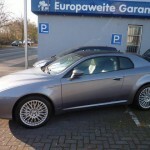 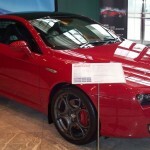 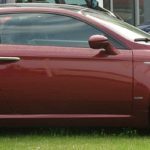 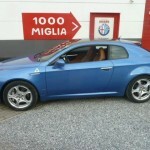 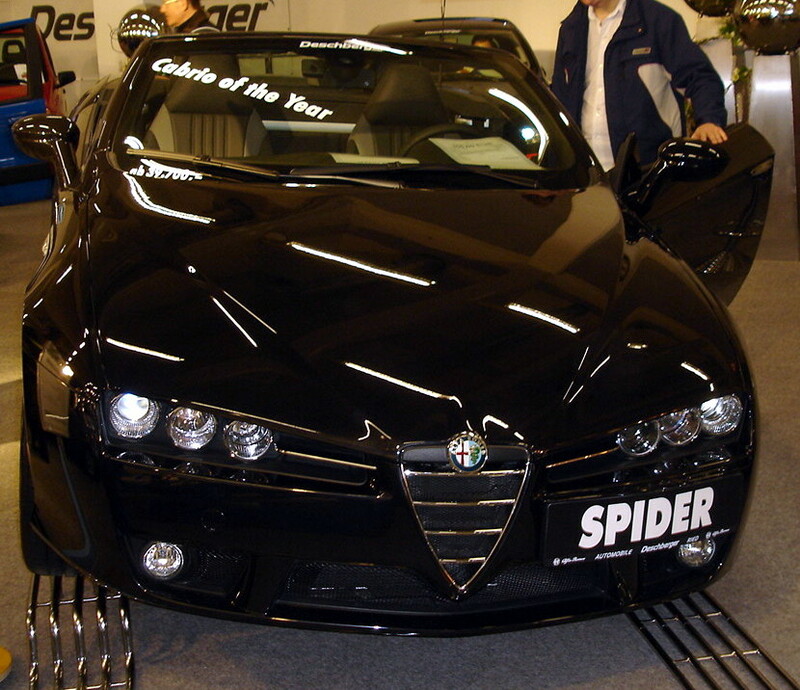 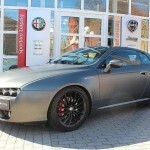 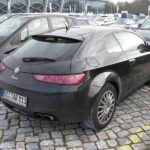 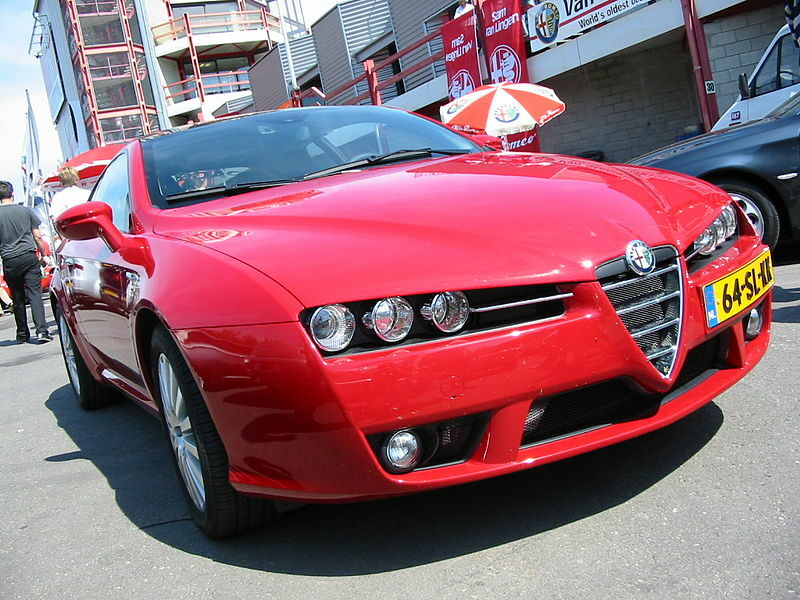 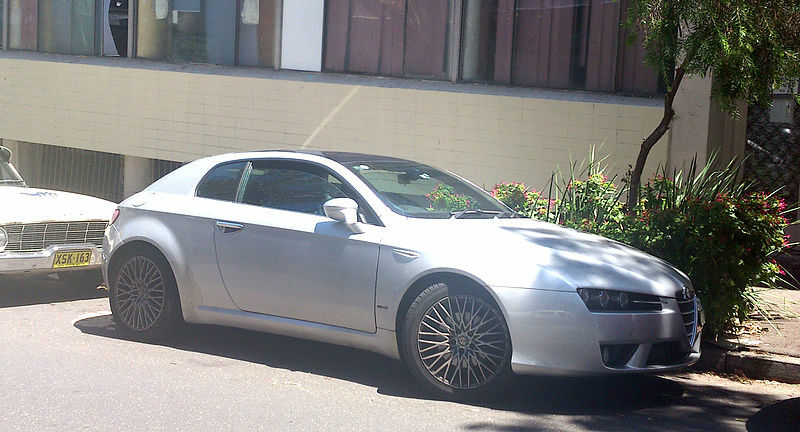 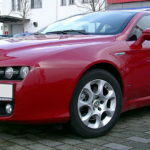 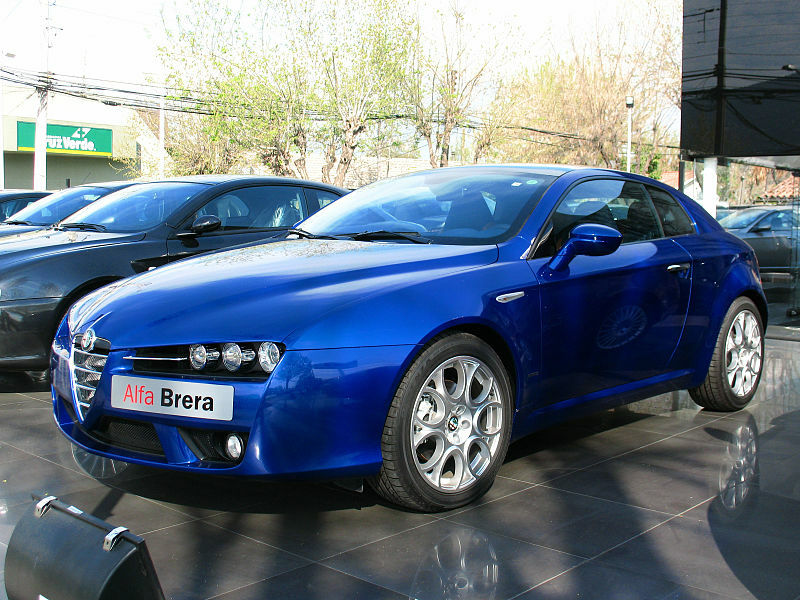 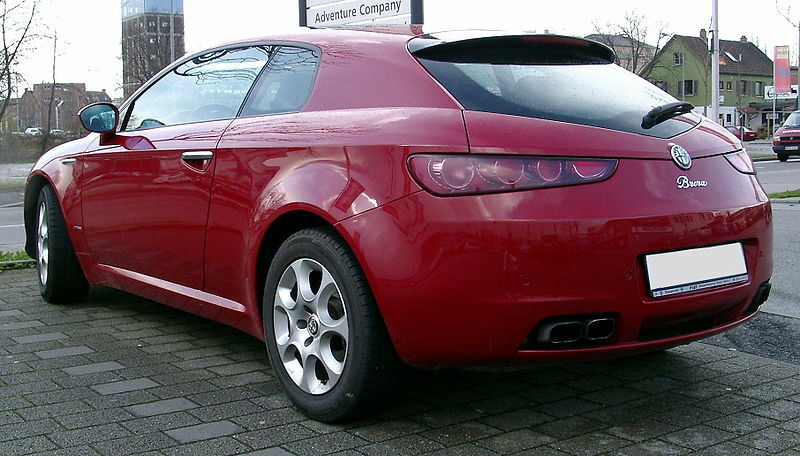 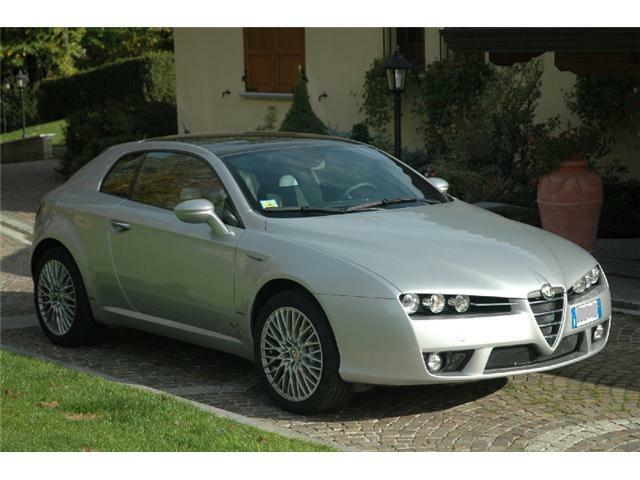 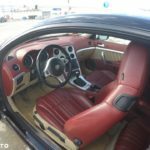 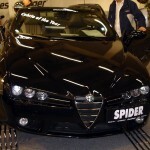 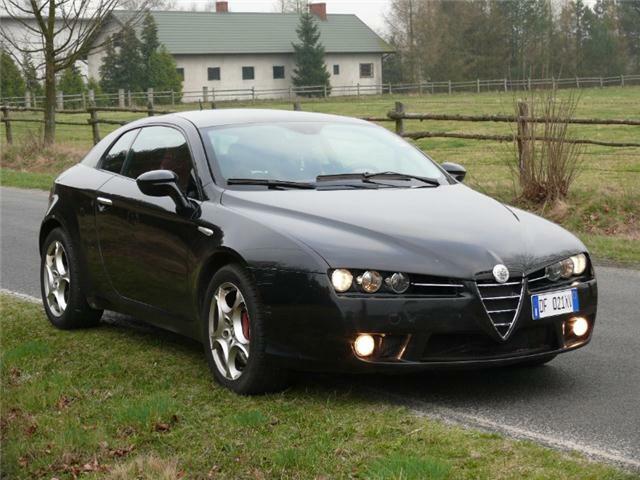 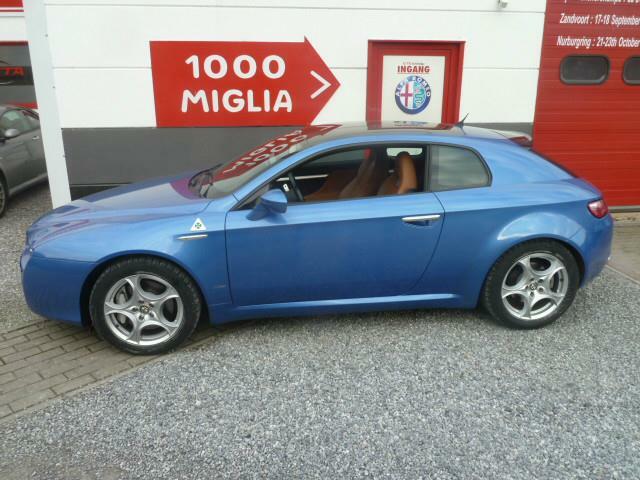 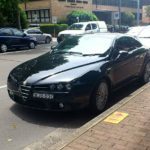 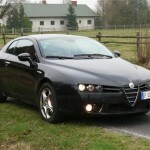 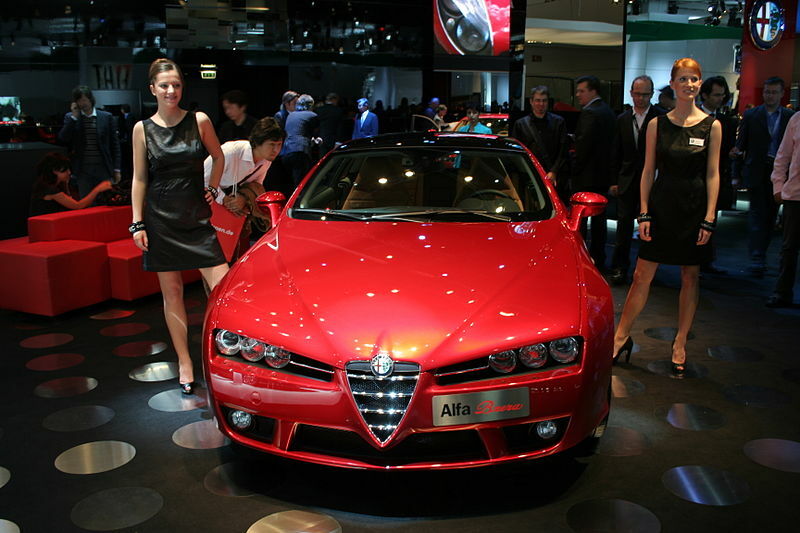 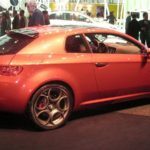 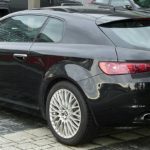 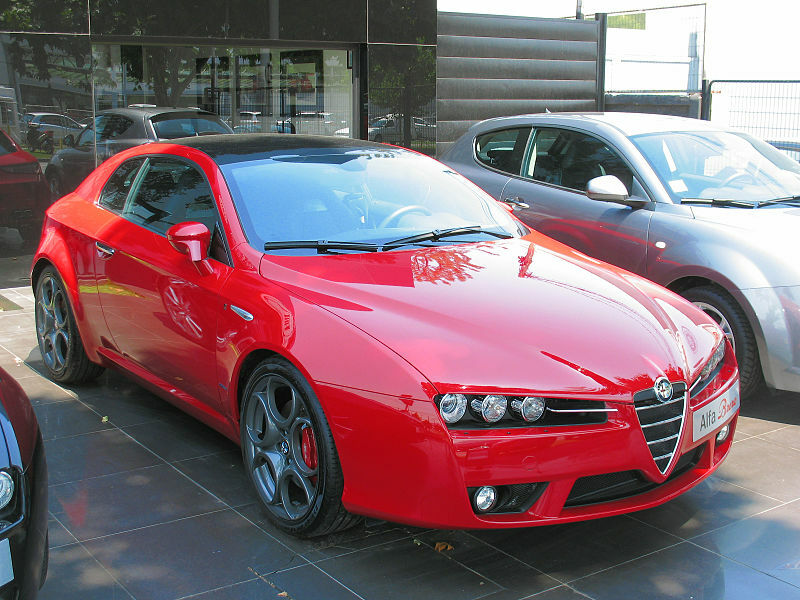 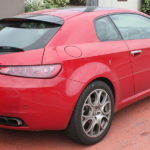 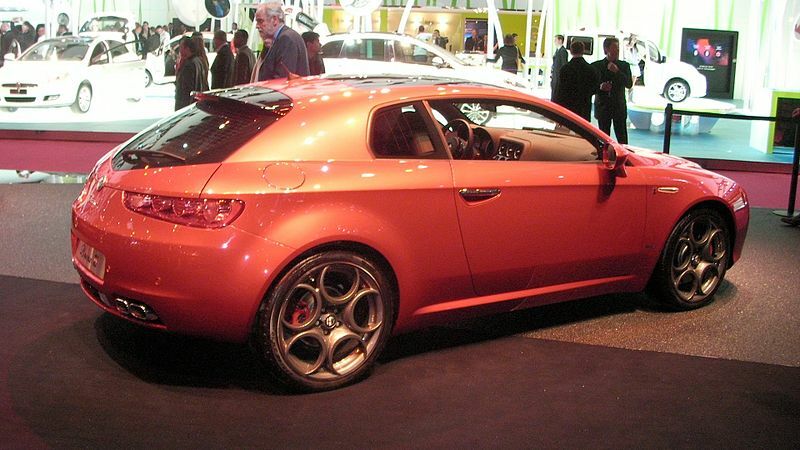 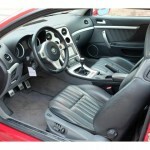 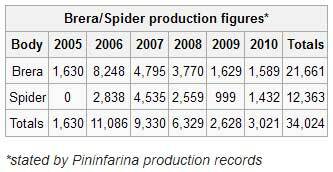 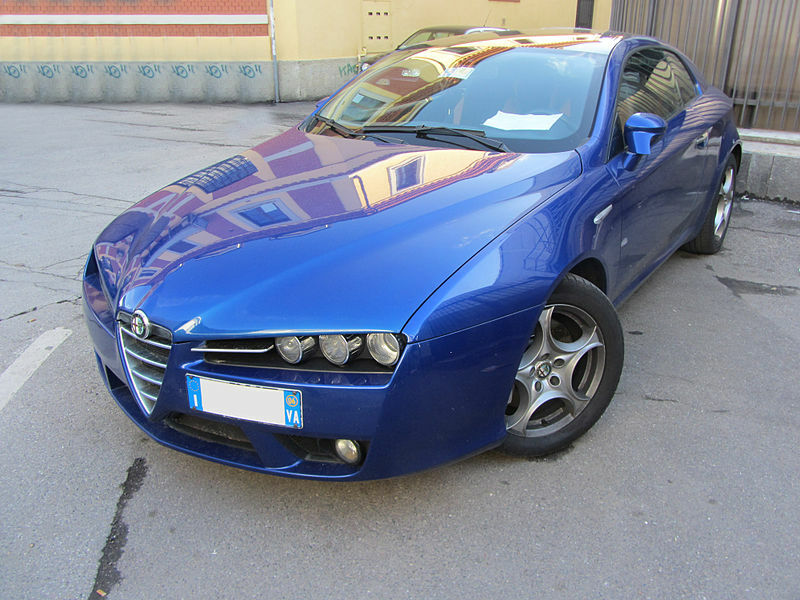 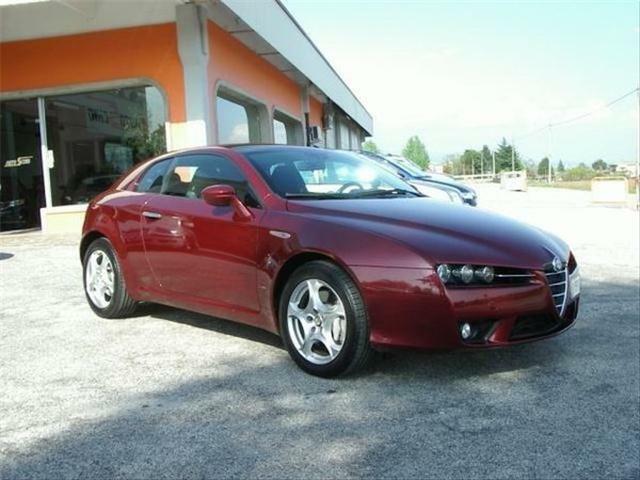 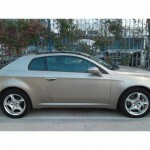 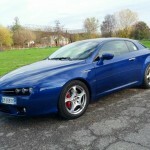 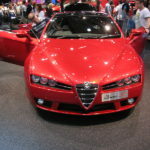 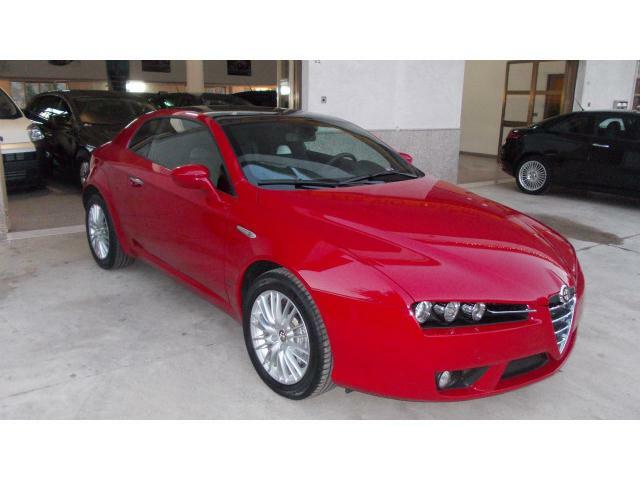 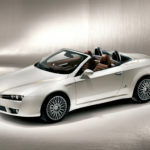 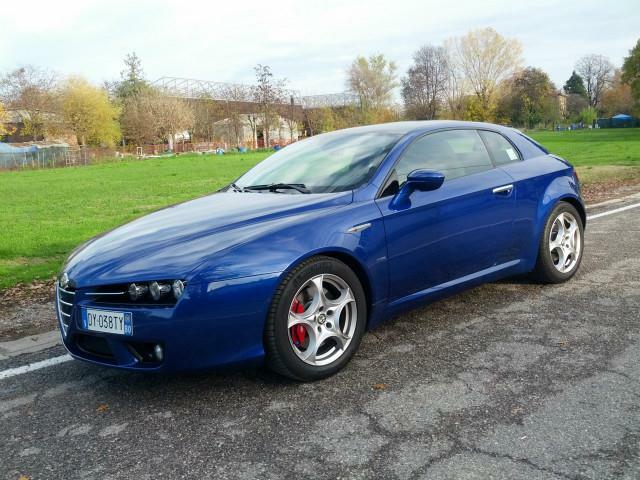 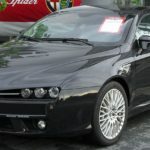 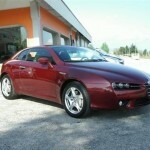 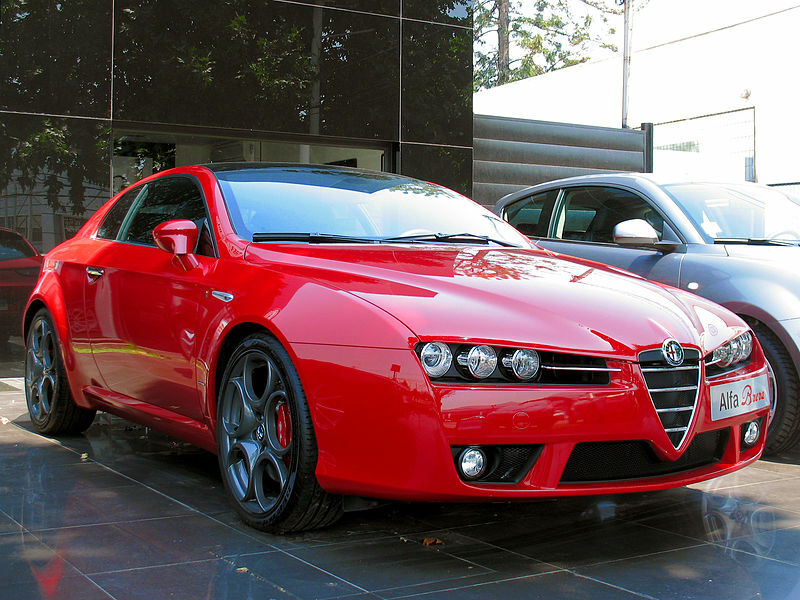 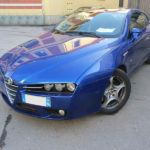 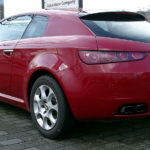 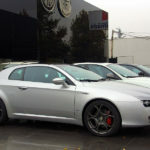 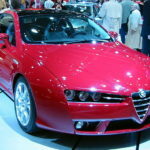 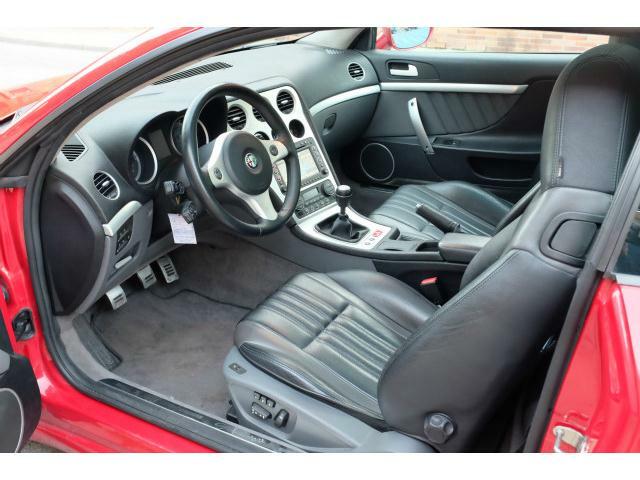 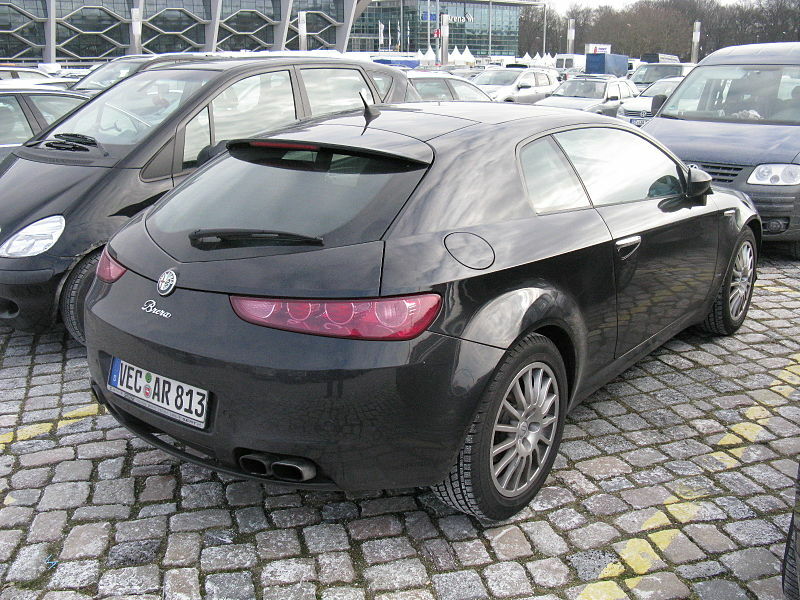 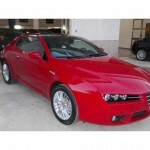 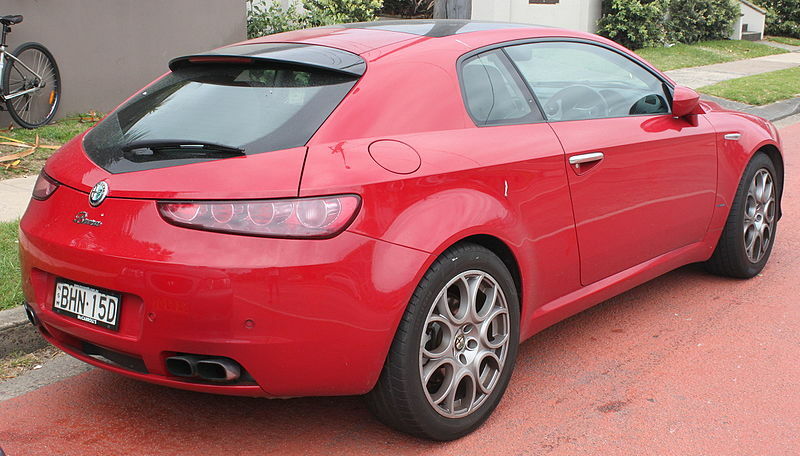 10-11/2010: Brera and Spider production ends. Alfa Brera concept car was voted “Best of Show” by Autoweek magazine at the Geneva Motor Show, “Best of Show” in the prototype category at the Villa d’Este Concorso D’Eleganze, it picked up two prizes at Challenge Bibendum 2002, and “the Most Fascinating Car” award at the Super Car Rally 2002 form Paris to Monte Carlo. 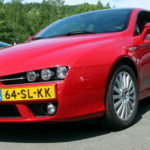 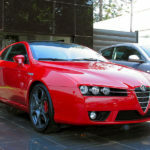 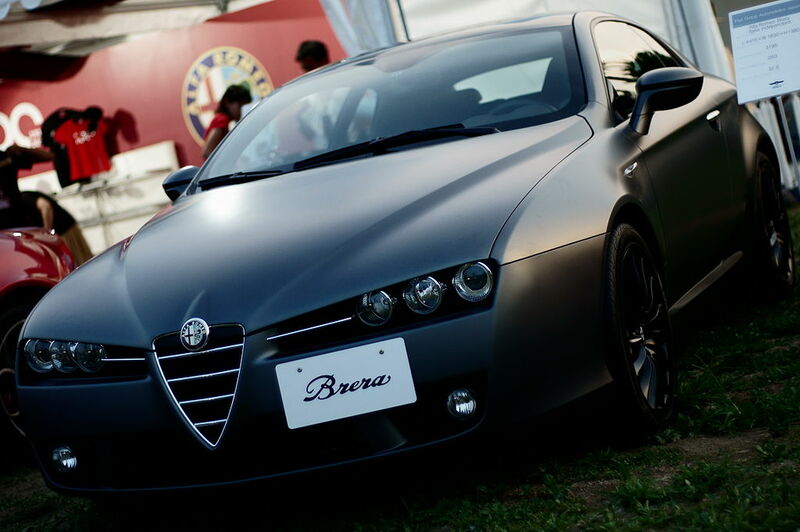 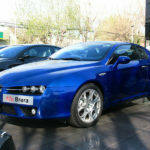 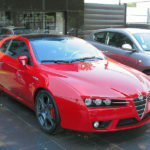 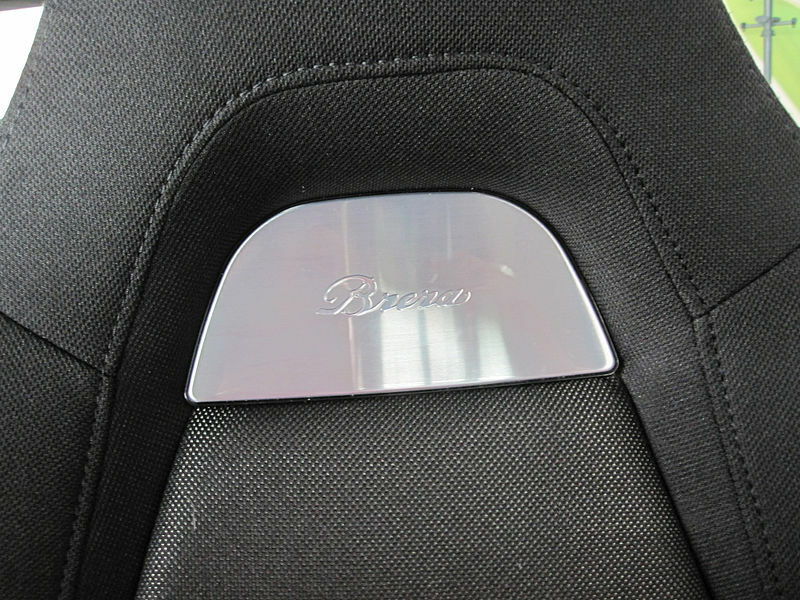 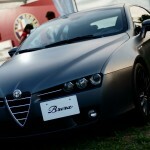 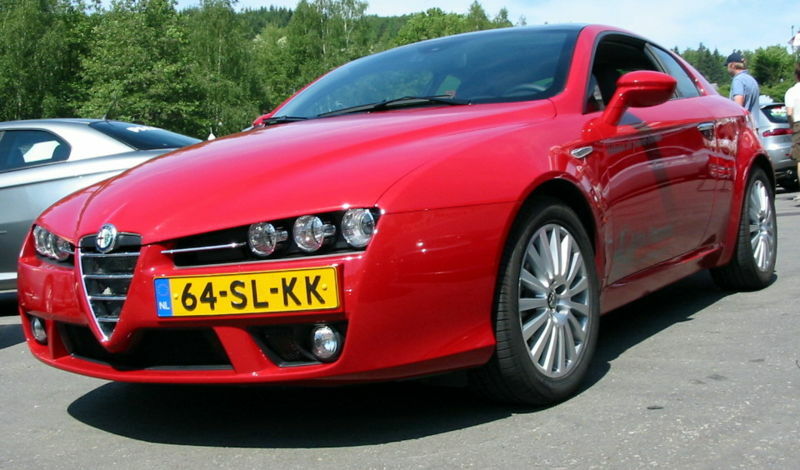 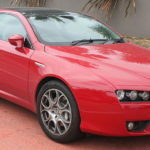 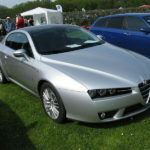 Brera was elected to European Car of the Year 2007 in Japan. 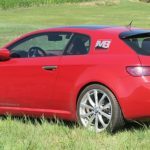 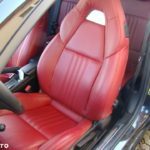 Best Sports/Coupe – What Diesel Car? 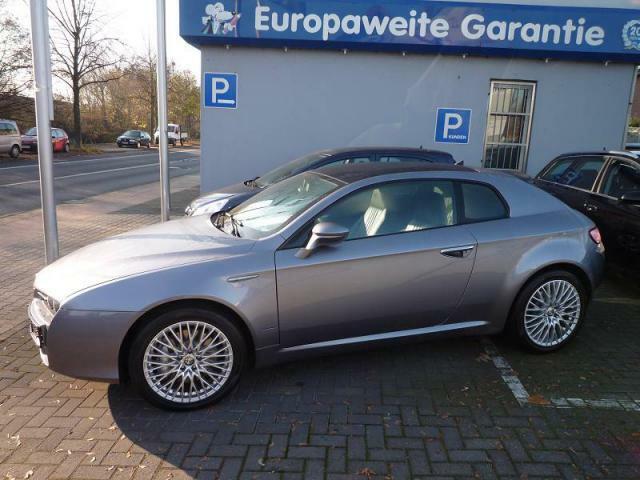 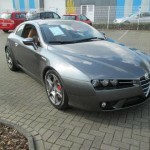 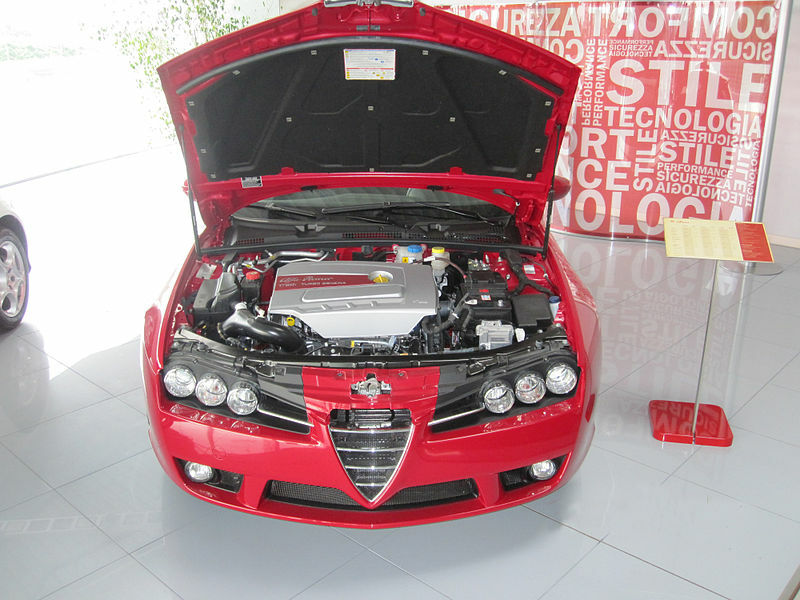 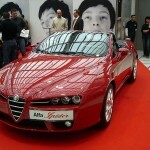 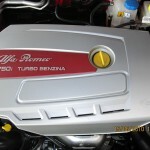 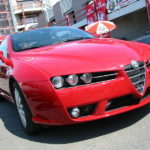 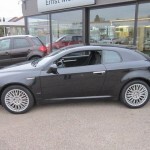 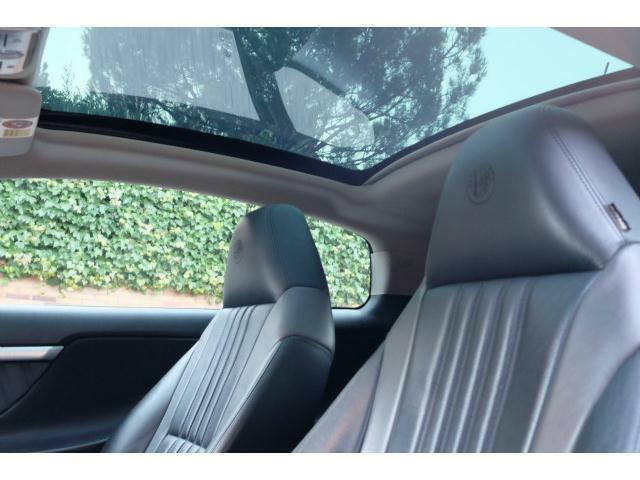 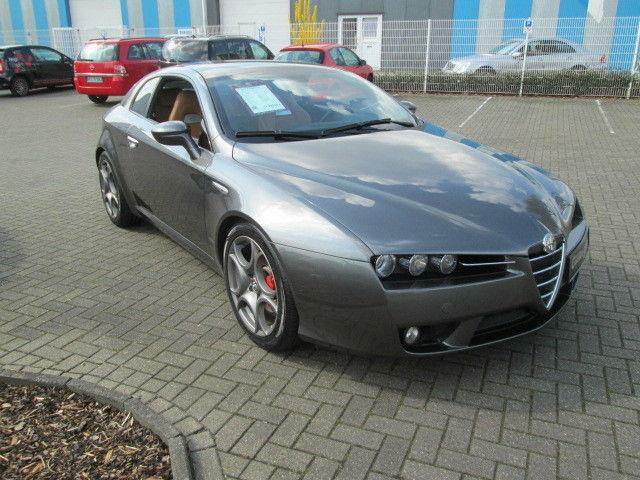 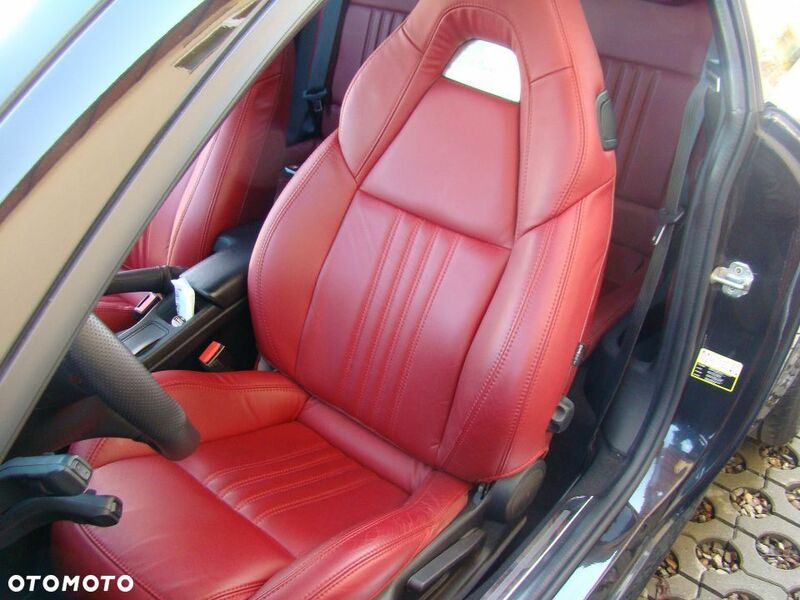 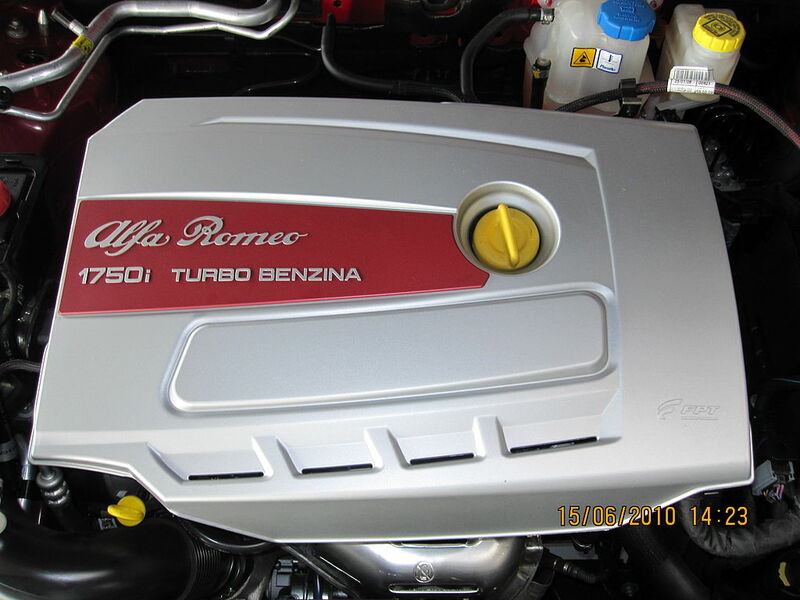 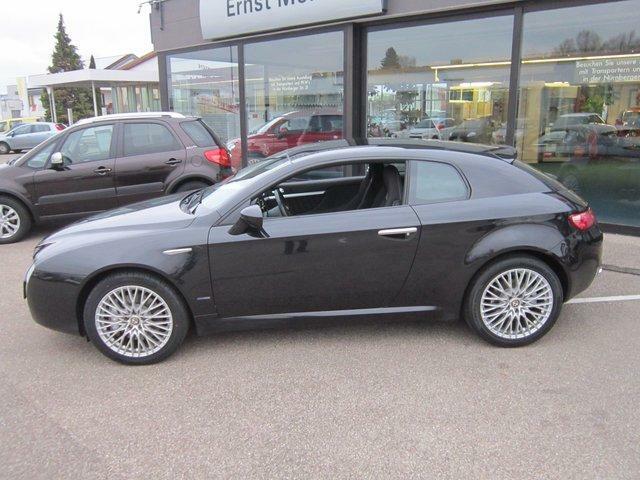 3 colours: 289/A Rosso Alfa, 585/A Grigio Touring Met., 876/B Nero Carbonio Met.